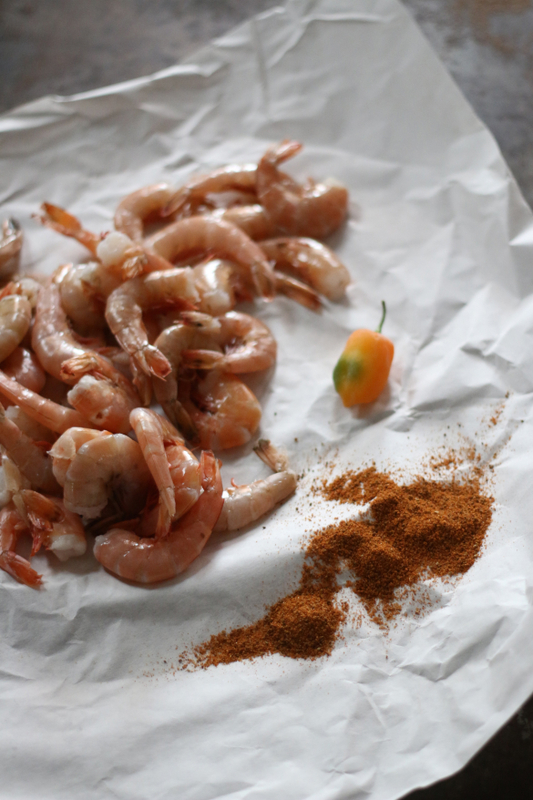 Begin by adding water to a pot over high heat (just enough to barely cover the shrimp, but we'll add those in a minute). Add a halved habanero to the water (just to make it mad) along with a tablespoon of Old Bay seasoning. When the water comes to a steady boil add the shrimp for exactly 1 minute. 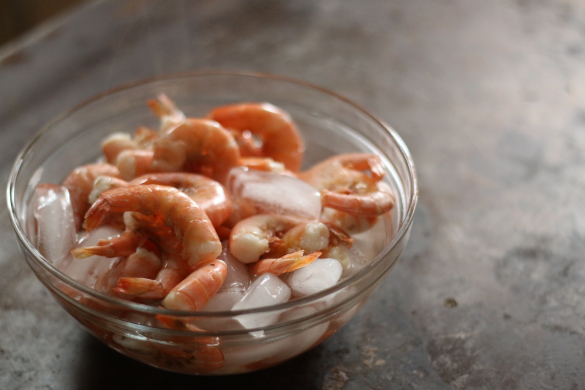 Remove shrimp from water immediately, placing into an ice bath to stop the cooking process. Once cold, strain shrimp and store in the refrigerator. 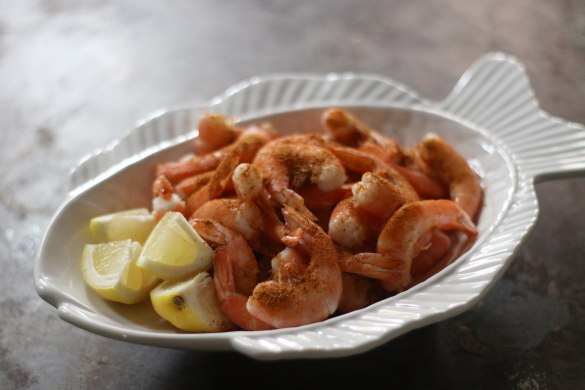 When ready to serve, arrange in a bowl with lemon wedges for squeezing, cocktail sauce for dipping and sprinkle with more Old Bay seasoning. 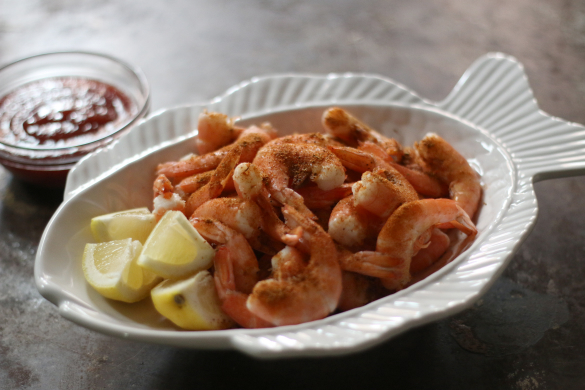 Boiled and spiced shrimp is one of those uncomplicated classic recipes, and this method for preparation is such a fun way to add some real spice to this favorite summertime appetizer! I love Old Bay seasoning. So good! Excited to try your techniques, especially the habanero one.